I know I mangled a beloved classic with this title. The Tolkein police are mobilizing as we speak, so I’ll try to finish up before they come and break down my door. I just couldn’t help myself. If ever there was a bookstore deserving of this epithet, it’s the one I visited earlier this week. You’ve probably seen me crowing about it before. If you live within a 50 mile radius of me, you might have heard a good bit, too. Like I said, I can’t help myself. I’m a screamer. So what is this awesome, amazing, fantabulous place called, you might ask? 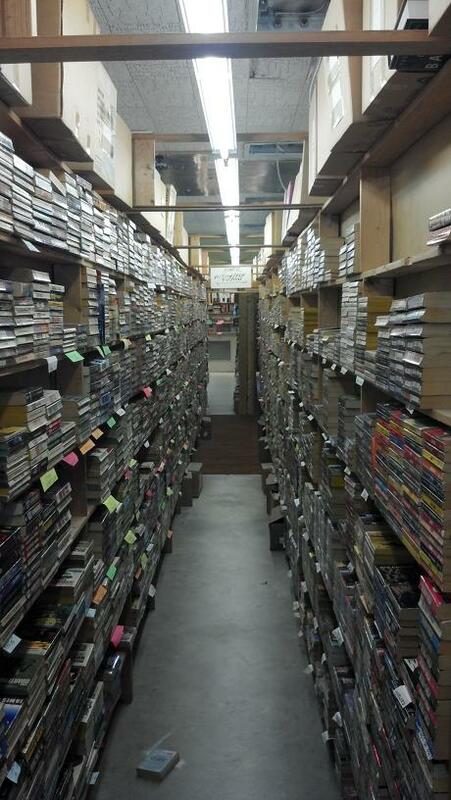 The rest of the world knows it as the Chamblin Bookmine, but I call it heaven. See that? That right there, my friends, is the Pearly Gates. I know it looks like the entrance to a ramshackle dump crouching in the shadow of the US-17 bridge in Jacksonville, Florida, but looks can be deceiving. And didn’t your mama tell you not to judge a book by its cover? Step through the portal, and you’ll find yourself in the single largest used book store I have ever laid eyes on. This place is bursting at the seams with books. The shelves are shoved so close together that two people can’t even walk down the isles shoulder to shoulder. Boxes of unsorted books occupy the rest of the place, jammed into corners and under shelves and any other free space available. I honestly don’t know how these people haven’t run afoul of the fire marshal. It’s a veritable maze. Hell, “veritable” doesn’t even cut it. I’ve gotten turned around inside of that place more times than I can count. It’s definitely not somewhere you want to be if you’re claustrophobic. The architecture is what makes it so confusing, as if the place has been built onto multiple times. The end result is that nothing matches and the ceilings are a bit uneven, but who cares? The place is jam-packed with books.. 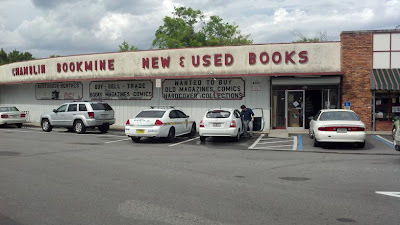 There are so many books, in fact, that they have had to expand to another location in downtown Jacksonville as well as a warehouse whose only function is to store books they don’t have room for in their stores. Right now you might be saying, “So what? Amazon’s got way more books than that, and they deliver them to my front door. No road trip to JAX required. That sounds way better to me.” Oh contraire mi amore! Sure, Amazon and Barnes and Noble and any other sort of online retailer may have more of the recent titles, but if it’s out of print books you’re looking for, there’s no better place than the Chamblin Bookmine. 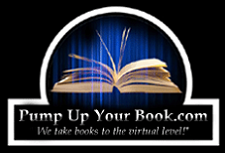 They’ve got books in nearly every single category—mystery, sci-fi, fantasy, general fiction, classics, poetry, short story anthologies, romance, erotica, military, thrillers, action/adventure, horror… and that’s just the fiction. They-ve got a jack-ton (that’s metric, by the way) of non-fiction books, too, and in nearly every conceivable category. What's really impressive is that they've got them painstakingly sorted by author with huge sections devoted to well known series and authors. And the prices—honestly, the prices can’t be beat. I’ve found several titles there for much cheaper than I would have been able to get them on eBay or any other online retailer. I originally found this place while on a business trip to Jacksonville almost four years ago. Every year since then I’ve found a way to make it back for my annual pilgrimage. A couple of years ago my wife and I were on our “baby moon” in St. Simon’s Island, Georgia, which is an hour away from Jacksonville, and you know damn well I drug my pregnant wife down there to roam around that old labyrinth of a bookshop. This year I stopped by on my way to training in Orlando (funny how all these training events happen in Florida), and I decided to drive instead of flying just so I could make a pit stop at the Bookmine. It’s my Mecca. But what about the rest of you? Where is your literary Mecca? 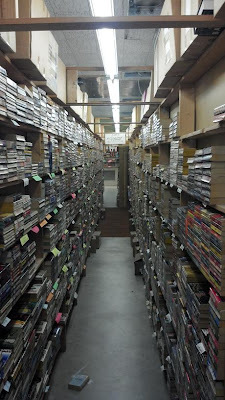 And if you know of a book store that surpasses the Chamblin Bookmine in sheer awesomeness, tell me about it! I seriously doubt you’ll be able to dethrone the king, but you're welcome to give it a shot. No problemo! 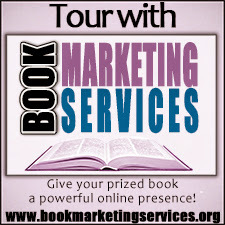 Gimme a shout if you ever stop by and tell me what you thought (and which books you snagged). Also, sites like Amazon and B&L (although I do purchase from them) don't give you that heady sense of "Oh my god! I didn't even know that EXISTED! I MUST have this." On Amazon, what you see is pretty much what you get (besides their eerily accurate "Amazon recommends..."). My little sister lives in Seattle and there are a couple used bookstores on the pier that give me that rush of adrenaline. Digging through the musty stacks is part of the fun--like panning for gold in the librarian's lost and found. Oh. SOOOO envious! Those ARE the Pearly Gates, LOL. I know, right? When I first stumbled onto the place my jaw just hit the floor. It was like I'd found El Dorado or something. Thanks for stopping by. I had a look at your GFC profile and didn't see a blog listed for you, so if you have one, please let me know where I can find it so I can follow you or subscribe to your RSS feed. Thought of you when I saw this. Numbers didn't copy. From Futility Closet, a subscription that makes a good break in my madness. The criminal must be mentioned in the early part of the story, but must not be anyone whose thoughts the reader has been allowed to know. All supernatural or preternatural agencies are ruled out as a matter of course. Not more than one secret room or passage is allowable. No hitherto undiscovered poisons may be used, nor any appliance which will need a long scientific explanation at the end. No Chinaman must figure in the story. No accident must ever help the detective, nor must he ever have an unaccountable intuition which proves to be right. The detective himself must not commit the crime. The detective is bound to declare any clues which he may discover. The stupid friend of the detective, the Watson, must not conceal from the reader any thoughts which pass through his mind: his intelligence must be slightly, but very slightly, below that of the average reader. Twin brothers, and doubles generally, must not appear unless we have been duly prepared for them. Wow, that's so cool! I'd never heard of that list before, but after reading it, it sounds perfectly logical. Those golden age mysteries were all about the puzzle. Agatha Christie caught a lot of flak when she wrote a novel with an unreliable narrator--readers felt gyped because there was no "fair" way to deduce who.the mirderer was. Thanks for sharing! Wow, I wouldn't know where to start. That's why I keep going back each year. It seems I find some new gem every time. This really does look like heaven. I might be going to Dinsey this summer soooooo I might have take a mini road trip to this place. Google says it's only 2hrs away from disney haha. I could see how you could get lost in there though. I have an awesome half price bookstore up here in Jersey, but it's closing. It's much smaller and not as awesome as this one though. A used bookstore in my town closed down not too long ago, too. Maybe this ebook thing really is starting to kill the industry? I dunno. All I know is that it's sad. Wow, this is an amazing book shop! 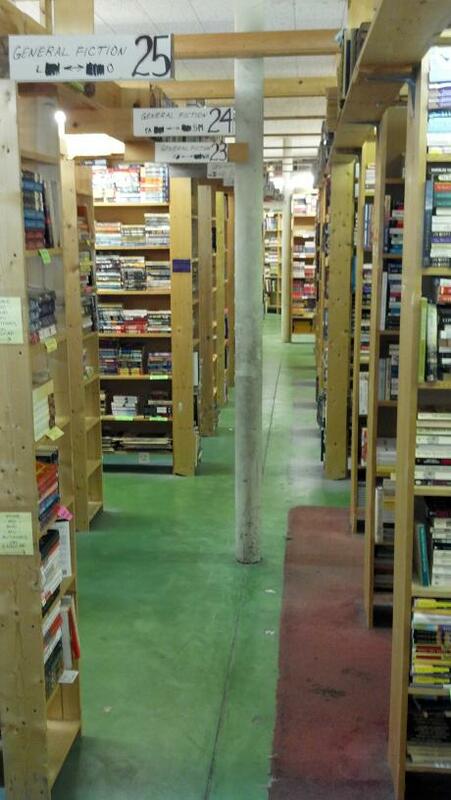 I've never seen a used book shop this big. There are several where I live, but they are all (or all I know) in the older parts of the city. The disadvantage is that all the shops are small. But this means I don't need to drive; I can take the underground or just walk. I never had either. When I first walked in my jaw hit the floor. But having so many bookshops in walking distance is nice. Around here you have to drive just about anywhere you want to go--everything is so spread out, and there's very little public transportation (and none of it goes anywhere you really want to go). Where do you live, by the way? I don't think I ever asked you. I live in Spain and here the public transportation is good. Depending on where you live and what your job is you can live here without a car. If you live outside the cities or in very small towns or villages that's less likely. The not so good thing is that most people (almost everybody inside cities) live in flats, so no basements or attics to store books. I just thought of a book shop that while it doesn't surpass the Chamblin Bookmine in sheer awesomeness regarding the size, it always has something good to buy. It's not a very big place but it mainly sells crime novels and thrillers. It also has a bit of sci-fi and some YA bestsellers, but mostly crime / thrillers. Even the name of the shop is from a crime novel. They also have a crime book club and book signings. I can't believe I forgot about it; I walk by it every day. Wow, that sounds extremely cool. I'm not familiar with any bookstores around here that specialize in any particular genres. If there were a mystery/crime one, I know where I would be spending a lot of my free time!